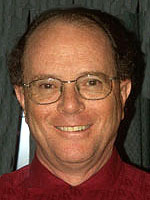 Dr. Egan is a graduate of University of Washington School of Medicine, Seattle, Washington. He completed his residency at Boston City Hospital, Boston, MA, and his training in Rheumatology at University Hospital, Boston, MA. Dr. Egan is board certified in Internal Medicine and Rheumatology. His society memberships include American Medical Association, American College of Rheumatology, and N.E. Rheumatism Society.